FALCONER NY — Falconer Electronics was recently recertified into the Safety and Health Achievement Recognition Program, also known as SHARP, for maintaining a safety and health program among the most-effective in the nation. The recertification involved a three-way effort between the state Department of Labor, Falconer Electronics and Safety Compliance Inc.
Joe Budzich, state Department of Labor health auditor, and Brad Hahn, state Department of Labor safety auditor, completed the recertification. Falconer Electronics achieved its initial certification into the program in 2002 and has maintained the certification since. In addition to recognizing the company for having a highly effective safety and health program, acceptance into the SHARP also grants the company an exemption from routine OSHA inspection that can be renewed annually. The company was founded in 1984 and incorporated in 1989, at which time it employed 10 people. Falconer Electronics manufactures circuit boards and electro-mechanical assemblies at a 30,000-square-foot facility at 421 W. Everett St. in Falconer. The company’s first assembly project was with AT&T and involved the development and production of security and temperature control for telecommunications cabinets. Falconer Electronics works for a number of well-known manufacturers and customers, often as a private label source for various components and complete assemblies. Additionally, the company serves the automotive industry, having worked in partnership with a customer prototyping and then producing the first LED lighting assemblies for heavy-duty automotive applications. The company has completed more than 12 years without a day away from work accident. “We are very happy and proud of our personnel. Since 2005, we have had zero days away from work injury cases. We would like to thank Brad Hahn and Joe Budzich from the state Department of Labor and Rick Shields and Tim Songin from Safety Compliance for their efforts and support maintaining our certification,” said Roger E. Hall, Falconer Electronics founder and president. Tim Songin, Safety Compliance account manager, credited continual rotation on the safety committee as an important part of the company’s success. 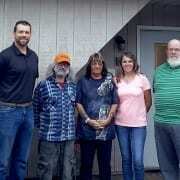 ” Consistency throughout the company’s safety program is at the forefront every day. Gary Baumann, Jan Jackson and Cheryl Stanford played an intricate part in this renewal,” said Songin, who co-chairs the committee. 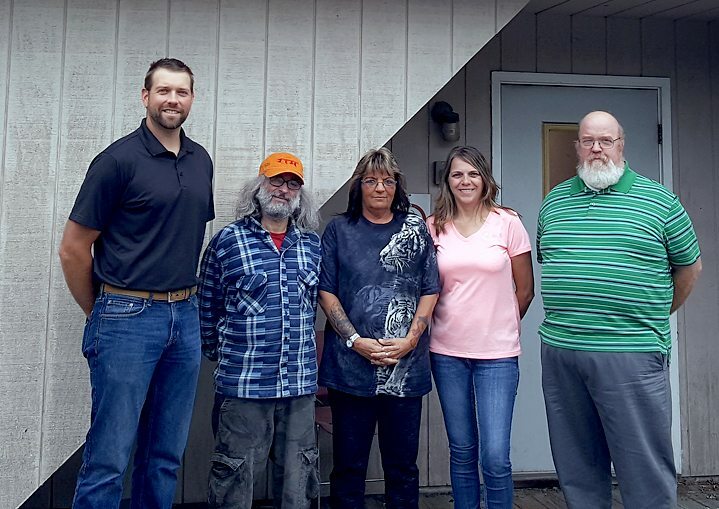 The Falconer Electronics safety committee, composed of both line and management personnel, meets on a monthly basis and oversees the company’s written safety policies, annual employee training sessions and facility safety inspections. An action plan is drafted at the end of each year outlining the company’s monthly goals for the upcoming year. 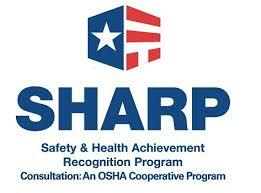 “I am very proud that Falconer Electronics has once again been recertified into the SHARP. This is the result of all parties involved maintaining a high standard of safety in our work environment and a true team effort,” said Baumann, Falconer Electronics safety manager. The company’s certification runs through 2019 at which time it will be up for renewal.